Spring is in the air and on lips everywhere with Hard Candy's New Fierce Effects Lipsticks. 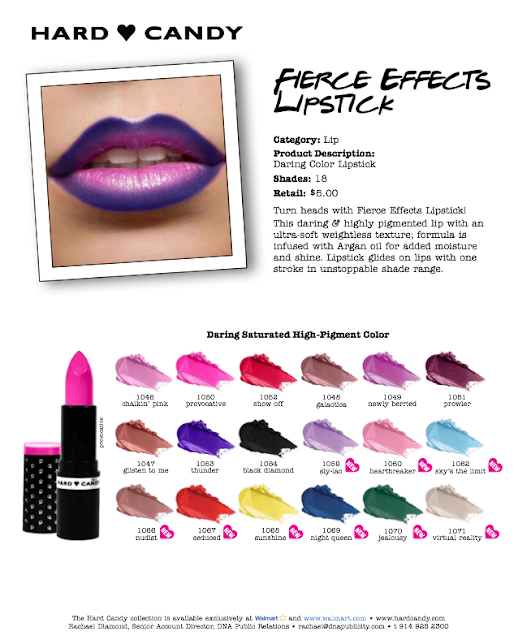 These are highly pigmented, intense colors that wear beautifully. I love the creamy texture and color pop. I'm quite impressed with the over color saturation. I was sent Thunder - a deep purple, Sly-lac - a pastel purple, Chalkin' Pink - a pastel pink and Newly Berried a berry shade. The pastel colors wore just as nice as the deep colors. These are a lot of fun to play with. You can outline your lips with a darker shade and put the lighter shade on the inside giving a cool effect. 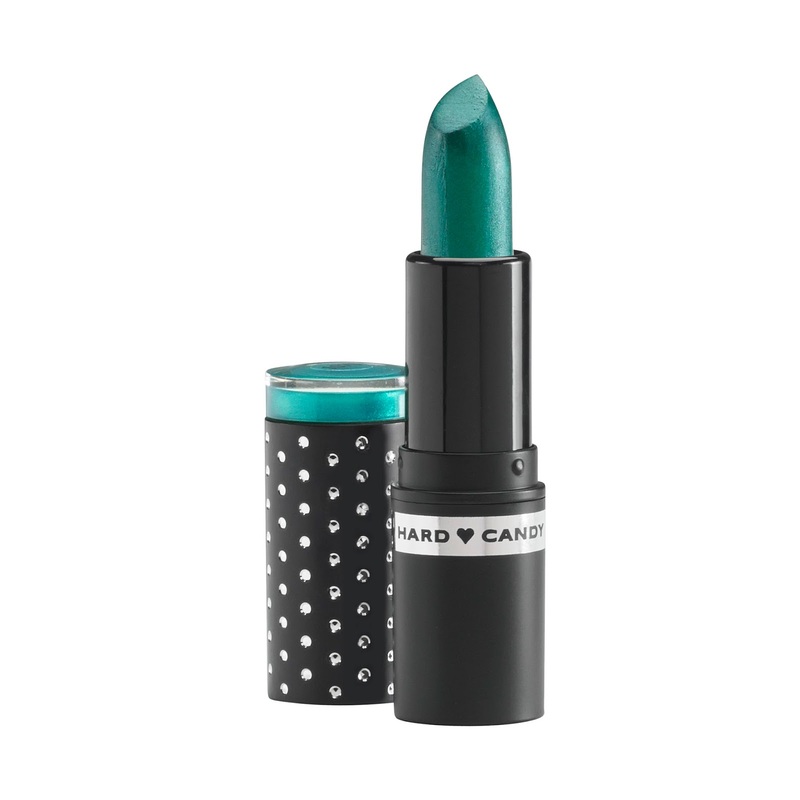 The Hard Candy Fierce Effects Lipsticks is available only at Walmart and Walmart.com.